We are one of the world’s most wholly unique and flexible venues for bringing people together – to be inspired and entertained. With our multi award winning events team, everything is possible. 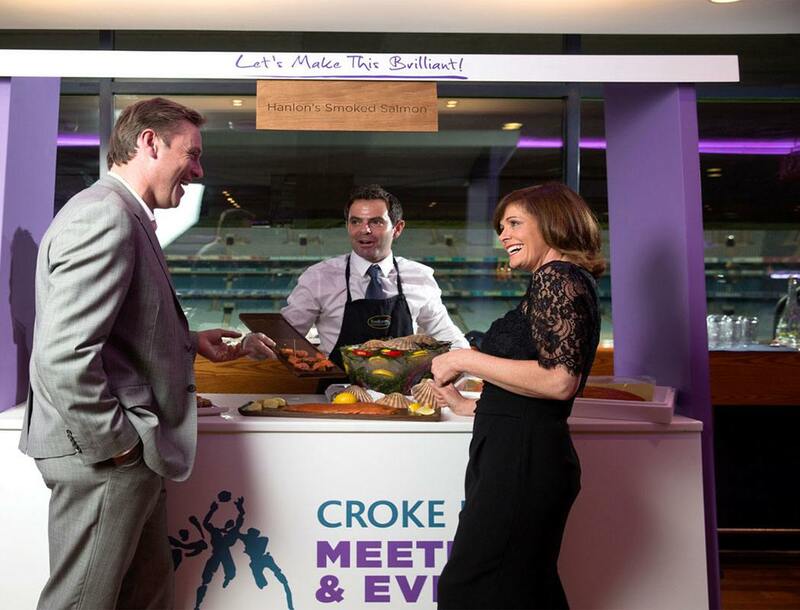 If you’re planning your Summer party then Croke Park offers a range of options for corporate events, family days, team building or activity days. 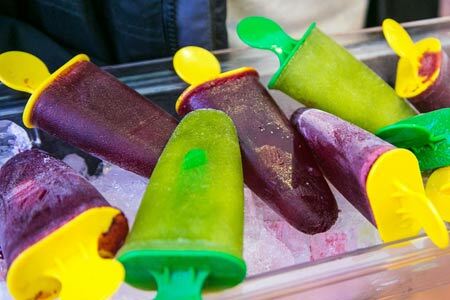 With both indoor and outdoor Summer party event options, there is something to suit everyone. Our Stadium Street Food menu offers an exciting alternative to traditional BBQ menus and we have a range of activities available onsite. 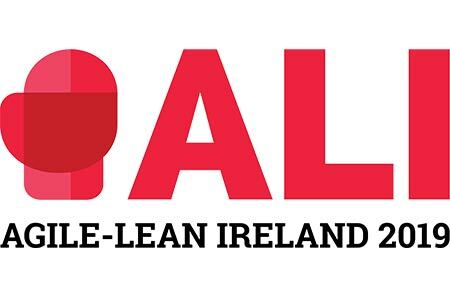 Agile Lean Ireland is a community-led conference, dedicated to spreading learning in Agile and Lean to the Irish and international community. This event will feature the cream of International and Irish speakers, with a mix of talks, workshops, coaches clinic and lightning talks. 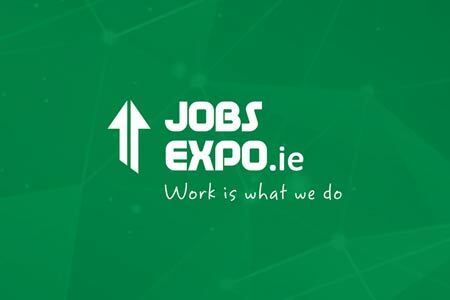 Jobs Expo Dublin is the leading jobs and careers fair, putting job-seekers directly in contact with the leading employers from Ireland and abroad. Register for free admission to meet employers, attend exciting seminars and get free CV and career advice. 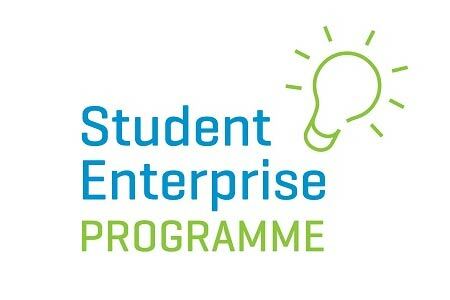 The Student Enterprise Programme is Ireland’s largest enterprise education programme. 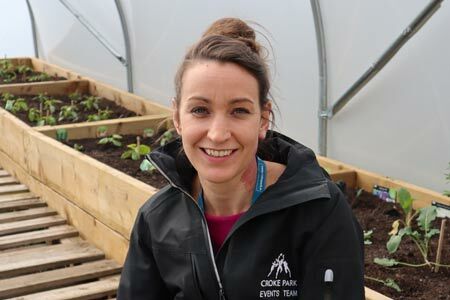 The Programme gives second level students the opportunity to set up and run their own business while at school to help them learn about entrepreneurship. 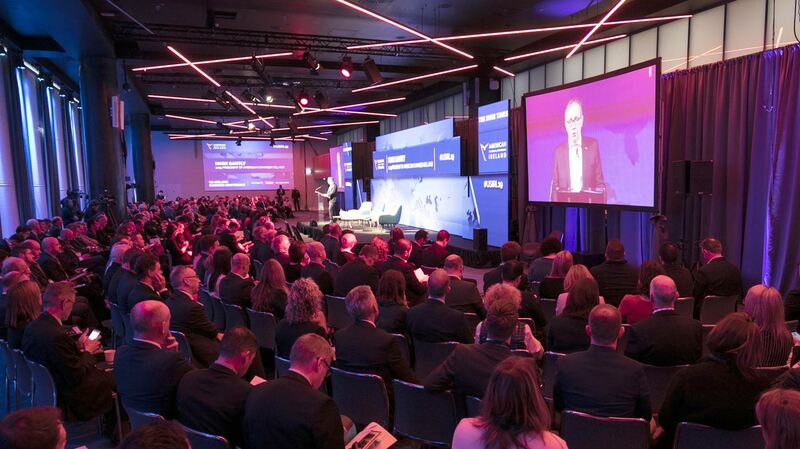 This inaugural conference will bring together experts from government and industry to give their views on how smart technology can be used to improve the lives of Irish citizens. 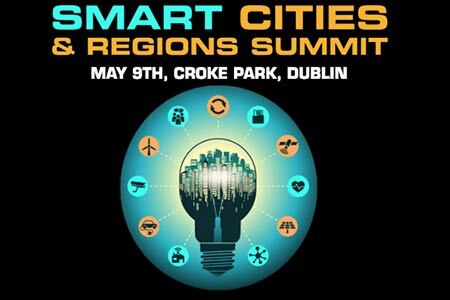 A wide range of topics will be covered providing exclusive insights into how we can deliver more efficient, sustainable and safer cities and towns. Youth Work Irelands Irish Youth Music Awards (IYMAs) takes place on Saturday May 11th in Croke Park. 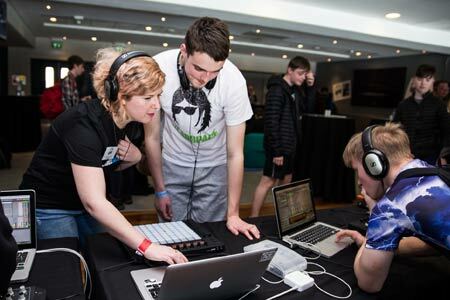 The IYMAs will feature performances by young musicians aged 12-19, performing across two stages throughout the day and connects ticket holders and performers, with Ireland’s top music industry personnel. Take a 100ft leap of faith to change the world for children with Autism. In Croke Park on the 18th May we are looking for people to join us in this unique fundraiser to raise funds for Autism Assistance Dogs Ireland. Places are limited so book now! 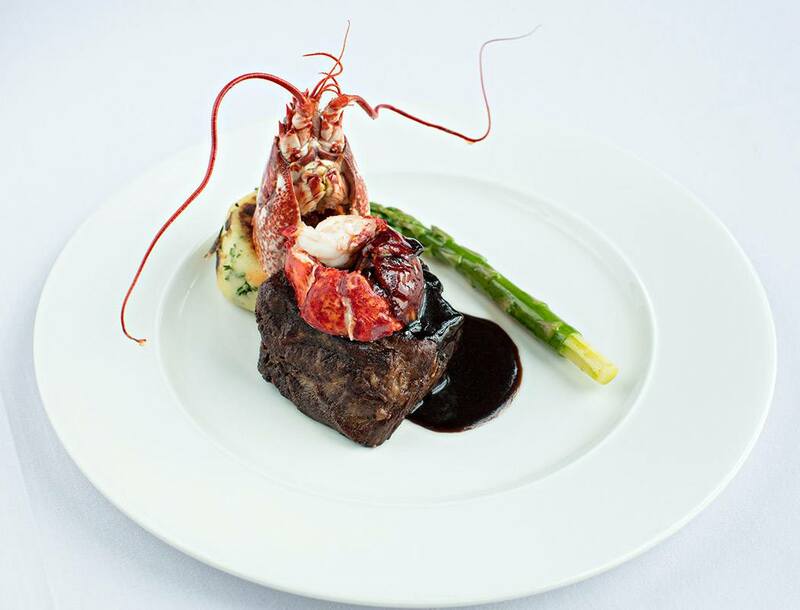 Flexible & adaptable spaces, customisable catering with thoughtfully produced and locally sourced menus, stand out features such as HD WiFi, onsite accommodation & time out activities - we've got everything you need right here. 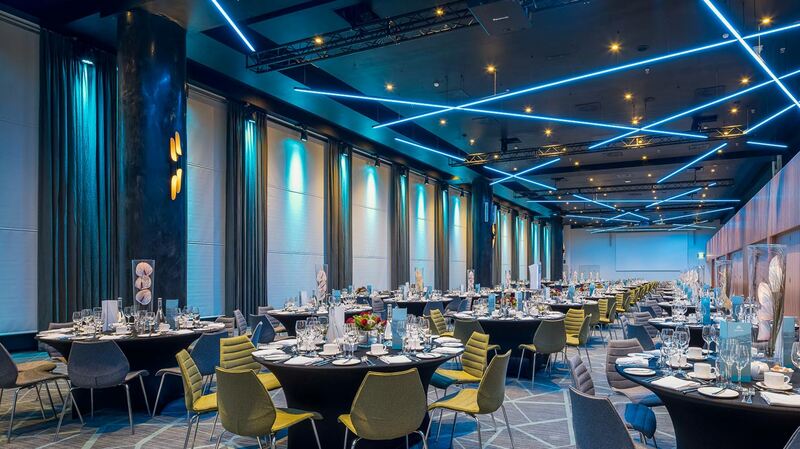 Our spaces are second to none and our facilities boast more flexible space and natural daylight than any other venue in Ireland. 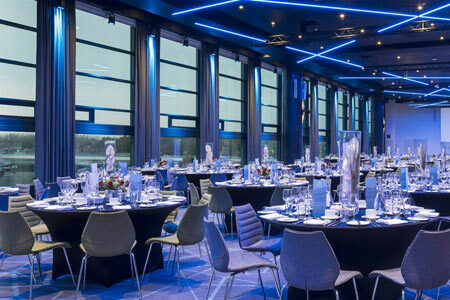 Conveniently located just 5 minutes from the city centre and 15 minutes from Dublin Airport and M50 motorway, Croke Park offers you the best of both worlds. 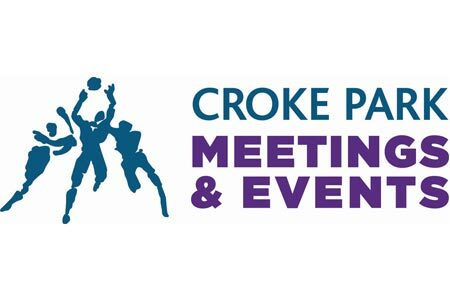 Ample free on-site parking, ease of access and bright airy spaces will help ensure you get the most from your Croke Park exhibiting experience. 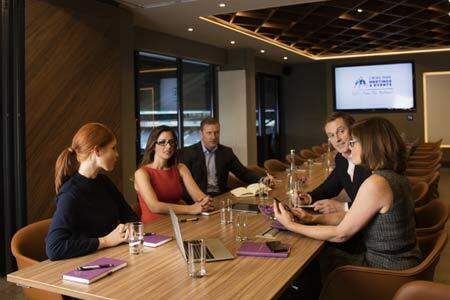 We offer the perfect Dublin meeting room venue catering for all meetings great and small! 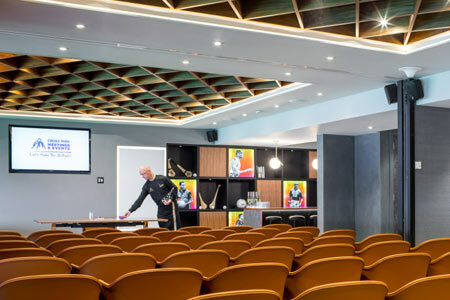 Our range of large meeting spaces are detailed under Conferences and we also over 90 additional meeting rooms with capacities ranging from boardrooms for 10 to theatre style for 80. 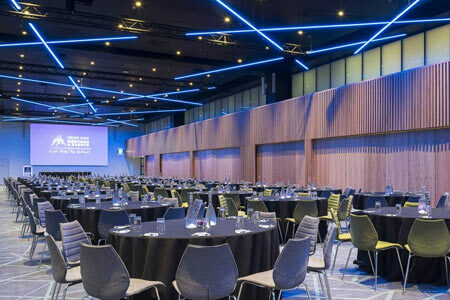 Whether your event is a meeting for 80, or an international congress for 800, our range of spaces offers the perfect Dublin conference venue for you and your delegates. 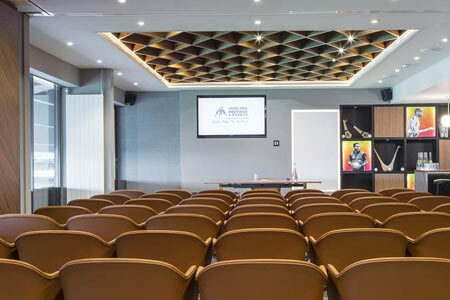 With 8 conference spaces and over 90 meeting rooms, our conference facilities are ideal for your product launches, sales conferences, AGMs, association conferences and corporate events. We offer you a range of flexible function suites for small intimate dinners right up to gala celebrations or awards events for 500 guests. 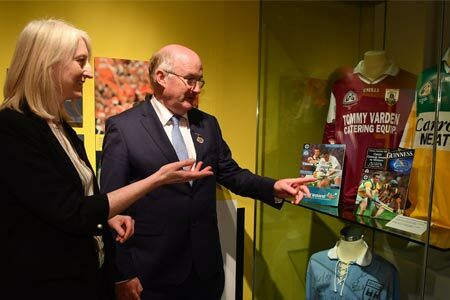 Arrival receptions can be accommodated in spacious adjoining foyers overlooking the pitch or in one of our unique spaces including the GAA Museum. Winners of Best Inhouse Events Team for three consecutive years at the Event Industry Awards 2018, 2017 and 2016, our team will work with you to make everything possible. 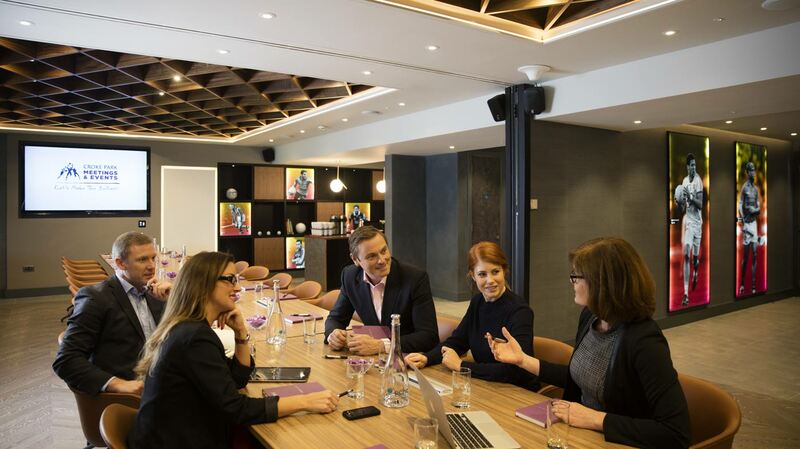 Our team are here to help you find the perfect space for your meeting or event. If you would like to arrange a call back, submit your name and number below and our sales team will contact you. Alternatively, to request a detailed event proposal, complete the enquiry form below. 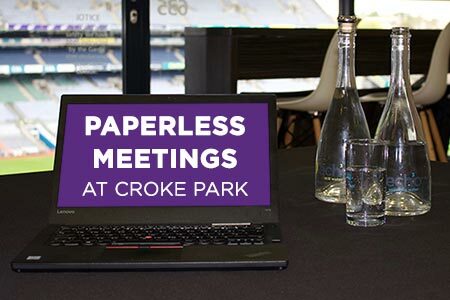 By subscribing, you agree to Croke Park using your personal data in accordance with our Privacy Notice. You can change your preferences or unsubscribe at any time . 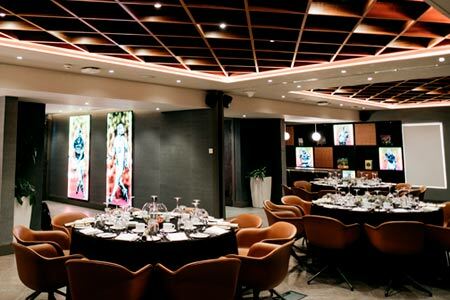 The latest trend in meetings and events - impactful, edgy spaces with a difference! If meeting room booking is part of your role, here are 5 questions to ask to ensure you find the most suitable space. Meeting design tips to help you organise and deliver brilliant meeting outcomes. Our Year in Numbers | 18 of 2018. A Year in numbers. 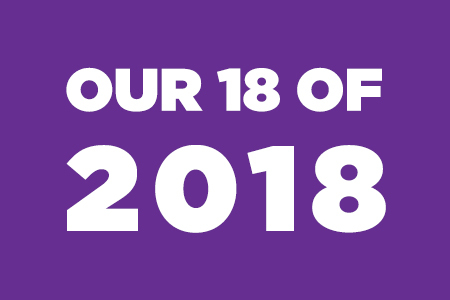 18 of 2018. 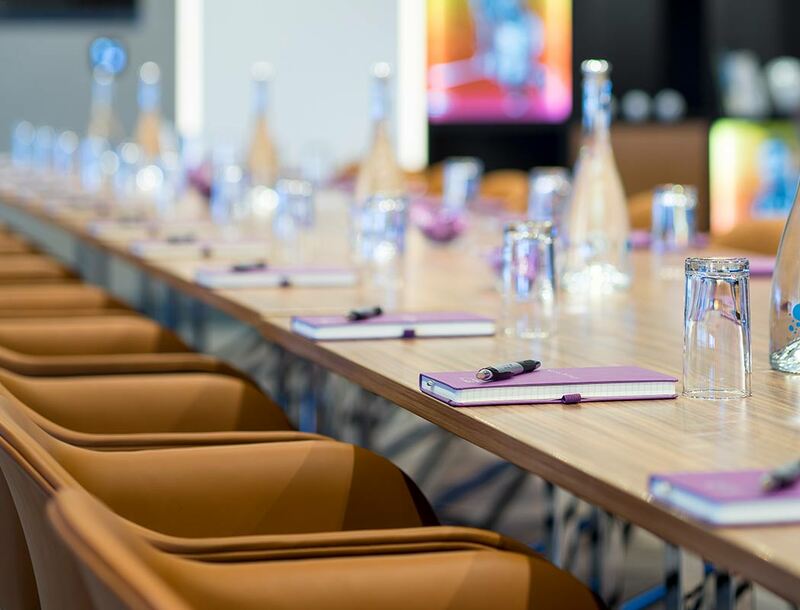 How to make simple meeting room bookings really simple! 20 years might be the blink of an eye when the story you’re telling starts hundreds of years ago.